§ 708.2A Domestic abuse assault — mandatory minimums, penalties enhanced — extension of no-contact order. 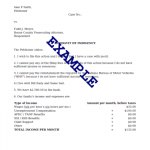 § 708.2C Assault in violation of individual rights — penalties. § 708.3B Inmate assaults — bodily fluids or secretions. § 708.12 Removal of an officer’s communication or control device.